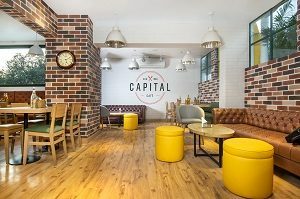 The Average Daily Rate (ADR) for Indian mid-scale hotels crossed 3,ooo for the first time in 2018, according to a latest report by Horwath on ‘India Hotel Market Review 2018’. 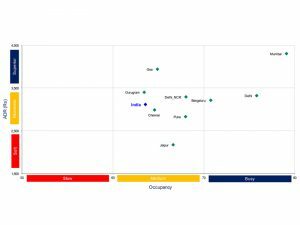 Mumbai is the only market at the top right hand corner – unfortunately, it fell back from strong occupancy position, without materially gaining in ADR. Several occupancy shifts have been in the negative direction. Bengaluru, Goa and Jaipur dropped Occ between 2.7 pts and 4 pts. Bengaluru is particularly surprising because there is no supply growth in this segment. Bengaluru and Goa at least made up on the ADR front; the former added over Rs 300 to comfortable cross the Rs 3k level. Goa ADR growth was more modest but is now pushing the Rs 4k level. Jaipur dropped rate as well – only Rs 60 but that’s material when one is in the low Rs 2k level. Delhi, Gurugram, Pune and Chennai moved up to the right, gaining both Occ and ADR. Occupancy gains varied from 0.8 pts to 1.5 pts; while ADR gains spread significantly between 3.3 per cent and 12.6 per cent. Improving product quality at the mid-scale level (e.g. the revitalised Ginger and Park Inn by Radisson) could enable improve performance for this segment. It really needs Occ growth in key markets to compensate softer initial period results from smaller cities and towns in which this segment must penetrate. 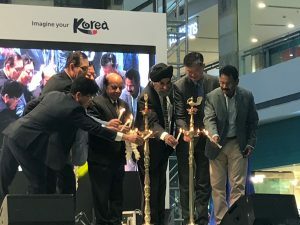 Ambience Mall, Gurugram played host to a two-day Korea Festival showcasing South Korea’s art, culture and heritage for the visitors to the mall. Organised by (KTO), the event was targeted to the consumers and had a separate stall where travel partners for KTO also showcased their itineraries and travel products to people. The event was inaugurated by Min Hong Min, Executive Vice President, KTO and Suman Billa, Joint Secretary, Ministry of Tourism, Government of India. The event also saw high energy B-boying performances and Nanta performance by professionals flown in from South Korea, especially for the event. 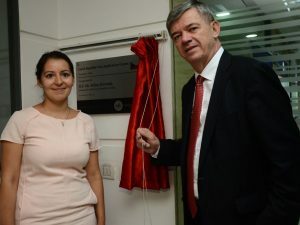 VFS Global recently received authorisation from the Royal Thai Embassy in New Delhi and its Consulates in Chennai, Kolkata and Mumbai to process Thailand Visa Application Centres across India. 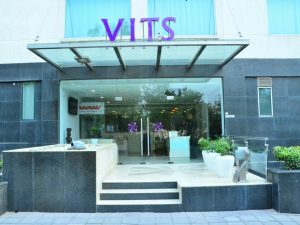 In order to provide convenience to the travellers from across East, West, North and South India, VFS Global has expanded its network of Thailand Visa Application Centres to 13 cities. VFS Global has already been servicing Thailand visas in East, North and South India, with centres in the cities of Delhi, Kolkata, Chennai, Hyderabad, Jaipur, Bengaluru, Gurugram, Kochi and Chandigarh. With the addition of operations in Western India, travellers can now also apply for a Thailand visa at any one of the VFS Global Thailand Visa Application Centres in Mumbai, Pune, Ahmedabad and Goa. 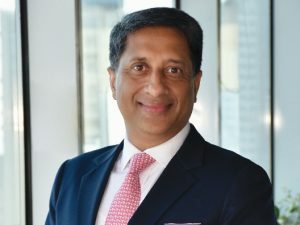 Vinay Malhotra, Chief Operating Officer – Middle East and South Asia, VFS Global, says, “Thailand has long been a popular destinati0n for Indian travellers, and a long-standing partner of VFS Global. For well over a decade, we have proudly served The Royal Thai Embassy and The Royal Thai Consulate General in India, with nine centres. It is therefore an honour to announce that VFS Global has been authorised to expand its Thailand visa services across India through its network of visa centres in 13 cities.” With Thailand emerging as one of the top destinations for Indian travellers, VFS Global’s appointment as a service provider will greatly benefit the growing volumes of applicants from India. When applying through VFS Global, applicants will be able to avail of the additional benefits on offer across VFS Global’s Visa Application Centres including services such as SMS updates, courier services, online tracking services, among others. 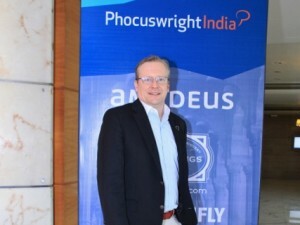 The second edition of Phocuswright India 2017 held from Feb 28-Mar 2 saw leaders from travel technology and travel-related segments gather in Gurugram where the latest trends in the industry were discussed, new talents nurtured and networking opportunities forged. Simon Lehmann, President, Phocuswright informed that over 400 participants were welcomed and added, “We saw a great turnout that could have been better, but it was a good response nonetheless. The sessions on Centre Stage that featured the likes of Google, Yatra and Paytm were effective crowd pullers and saw a lot of valuable exchange of ideas and information on the new travel technology trends.” Some of the highlights of the event include discussions on the future of business travel, alternate stays and the growth of budget accommodation, along with interviews with Expedia, Uber, Makemytrip & Ibibo, Booking.com, to name a few.